What is rear view camera ? As seen from Wiki, A rear view camera (also called reversing camera, rearview camera, backup camera) is a special type of video camera that is specially designed to attach to the rear part of a vehicle to help backing up, and to eliminate the rear blind spot. 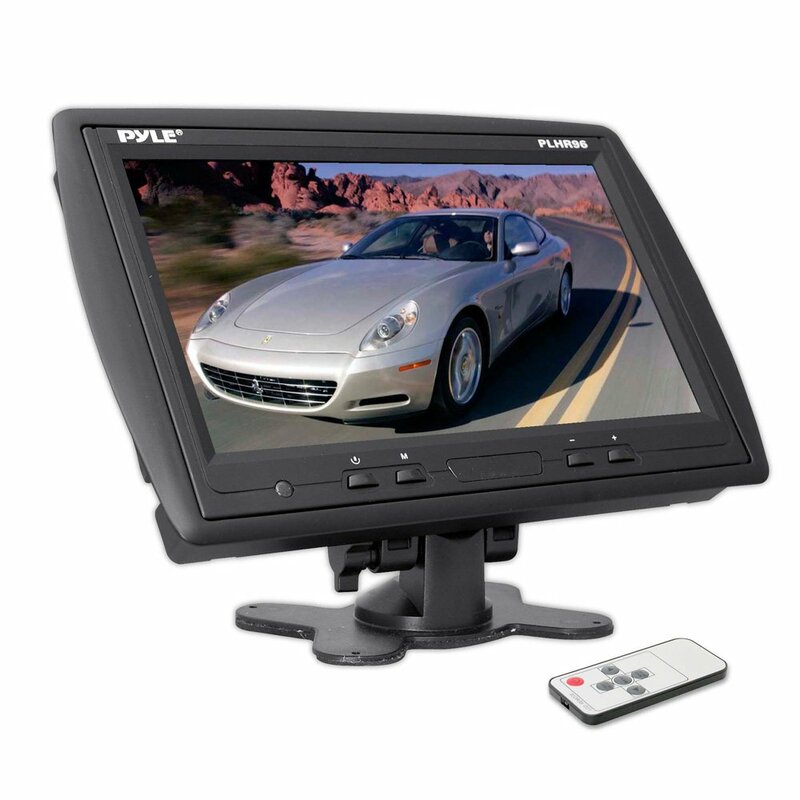 Rear view cameras are alternatively known as ‘reversing cameras’ or ‘backup cameras’. It is specifically designed to avoid a backup collision. The area directly behind vehicles has been described as a “killing zone” due to the associated carnage. Rear view cameras are usually mounted on the middle of the rear part, brake light position, license plate position, rear view mirror position, they are usually connected by wires or wireless transmitter to a lcd display that mounted on the vehicle dashboard or other places that driver can easily pay attention to. Why you need a rear view camera ? Having a rear view camera installed in your vehicle is a massive asset both for the resale value of your vehicle but most importantly for your safety and for the safety of others too. A national child advocacy group called Kids and Cars.org estimates that every week around 50 children are backed up over in the United States, at least two of those incidents are fatal. SUVs are four times as likely to cause horrific accidents like these. Having a rear view camera installed gives you an extra set of eyes to help avoid accidents. Whatever position you choose to mount on your car, it will help you avoid accidents and make parking more faster and efficient. Rear view camera is becoming a essential component for modern vehicles, actually almost every car has a built in rear view camera system to help both new and old drivers. 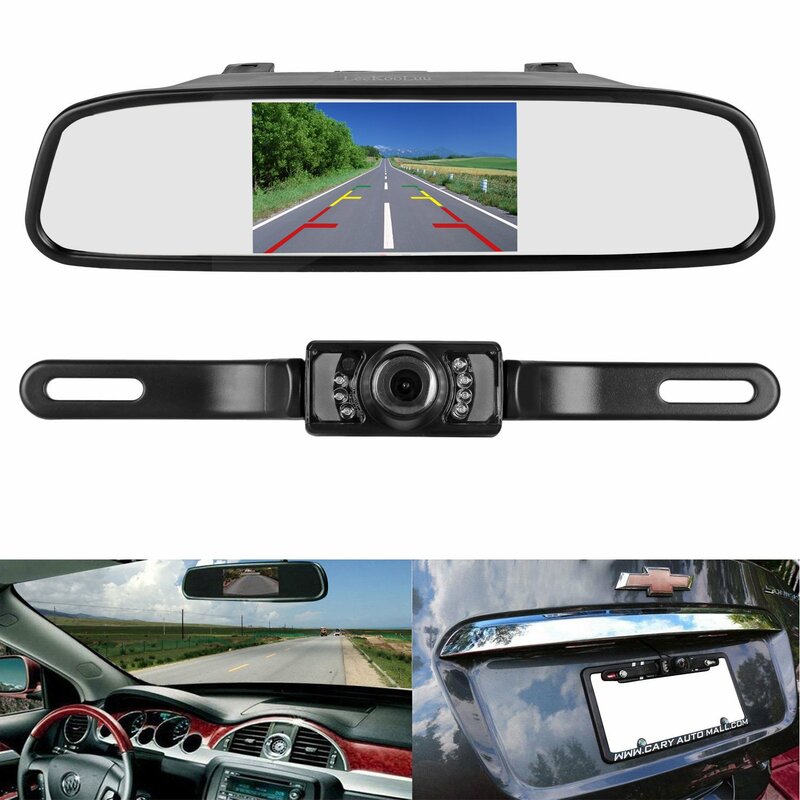 What can you do if your old vehicle do not have a rear view camera ? Well, don’t worry. It is so easy, just driving your old guy to any vehicle repair shop, they will add rear view camera system to your vehicle, i think the total cost will not exceed 100 us dollars. And if want to DIY the installation, you can simply go to buy a ccd / cmos sensor rear view camera and car lcd display on ebay or amazon.com, usually they will come will the full kits except a screw driver 🙂 . And i have found a full tutorial on how to DIY rear view camera installation for you guys, i hope this will help you. How much is a rear view camera ? 1. 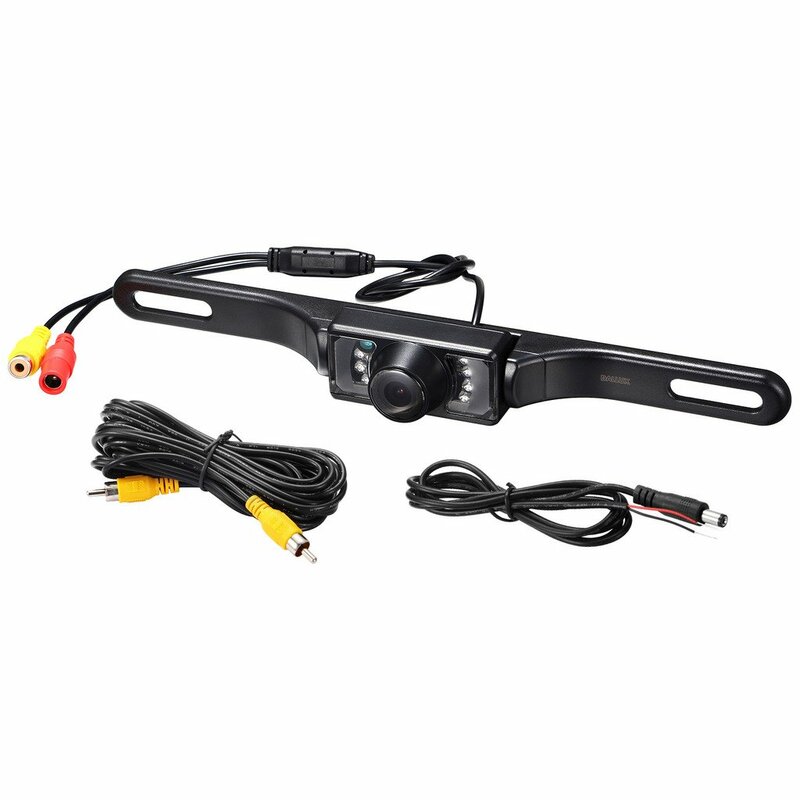 License plate rear view camera price : it only cost 15.99 us dollars to buy a license plate rear view camera on Amazon , below is the picture ( click this picture, you can buy on Amazon directly ) . 3. 7 inch car lcd display price : it only cost 26.99 us dollars to buy a regular 7 inch lcd display for car, with all mounting accessories and shipping cost was included. Below is the picture and buying link. 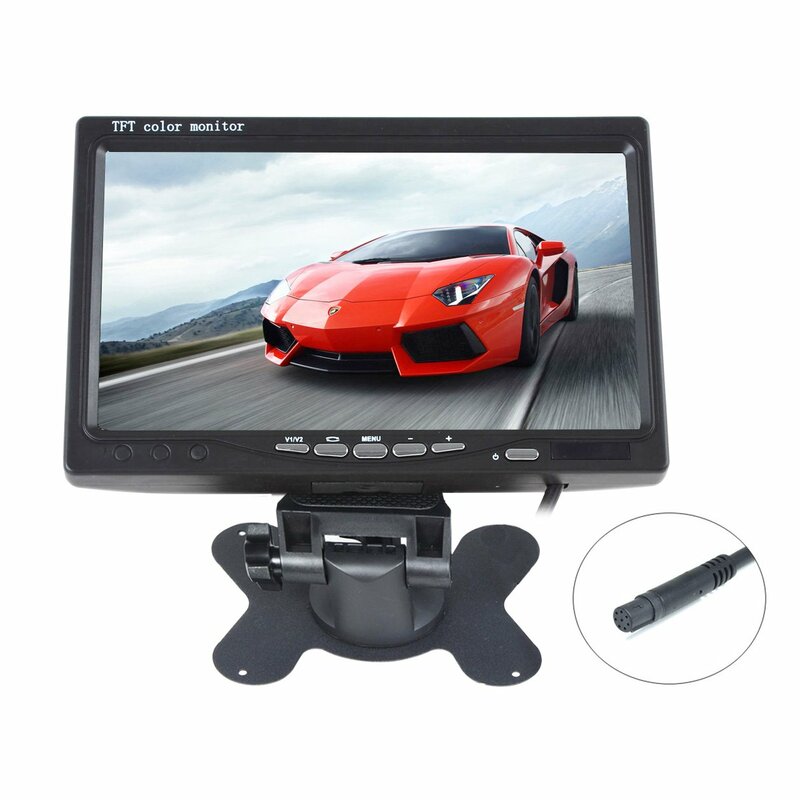 So we can see it cost around 43 – 93.5 us dollars to buy rear view camera and car lcd display, then install them yourself, depends on which kind of car lcd displays your want to choose. You can also buy these parts online and bring them to the repair shop, they will help you install too; or even buy rear view camera system in the vehicle repair shop. How to choose a good rear view camera manufacturer in China ? Luview: luview is a leading rear view camera and dashboard camera manufacturer in China, dedicating in developing and manufacturing rearview cameras , dashboard camera and other security camera products & solutions for car. They have their own brand name in China market, and for foreign market, they mainly provide OEM service. You can contact their email: [email protected] for more details.